Chef Steve Samson spent his childhood summers in Bologna, Italy alongside his mother and grandmother in the kitchen, and with extended family throughout the region of Emilia-Romagna. Food has always been a centerpiece that connected family and community. While food and fond childhood memories were prominent constants, Samson’s path to professional cooking was not a direct one. Samson was enrolled in the pre-med program at Columbia University when he realized that his true passion was food. He soon made the switch and attended the Institute of Culinary Education in New York, completing his time there as a Blue Star Ribbon Graduate. He then began cooking professionally in kitchens throughout New York City and Maine. Upon his return to his home city of Los Angeles, Samson found a mentor in lauded Italian restaurateur, Piero Selvaggio. Sent to Italy by Selvaggio, Samson had the opportunity to stage in some of Italy’s finest, Michelin-starred restaurants, including Dal Pescatore, Il Duomo, and Il Cascinale Nuovo. At Selvaggio’s insistence, Samson specifically studied and fell in love with the flavors of the south, contrasting with the Bolognese dishes of his childhood. When he returned to the States, Samson helped to open Selvaggio’s Valentino Las Vegas; then he moved on to Del Posto in Los Angeles; and eventually back to Selvaggio at Valentino in Santa Monica, where, during Samson’s tenure there as executive chef, the restaurant was nominated for a James Beard award for Outstanding Restaurant. He moved on to work at David Myers’ Michelin-starred, Sona, while a new Italian restaurant concept with Myers was in the works. In 2009, they partnered to open Orange County’s Pizzeria Ortica, which offered southern Italian dishes and Neapolitan-style pizza. The restaurant’s success and critical acclaim (OC Weekly’s Best Pizza and Best Italian Restaurant) garnered the attention of Star Chefs, which named Samson a Rising Star Chef in 2010. Samson moved back to Los Angeles and opened Sotto in 2011, where his dedication to offering authentic, southern Italian dishes, wood-fired Neapolitan pizzas, and handcrafted pastas earned Sotto a spot on many best-of lists, including Esquire Magazine’s Best New U.S. Restaurant and Los Angeles Magazine’s Best New Restaurant. Now seven years in, Sotto is still considered one of the city’s most beloved restaurants. It recently received a second review from LA Weekly, garnering a rare four stars from Besha Rodell; the restaurant continues to be recognized for its food, talent and hospitality. 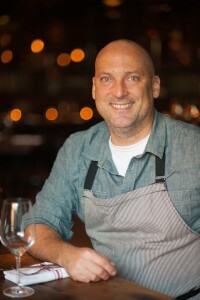 Having proven himself as Los Angeles’ arbiter on southern Italian cuisine, Samson has returned to his roots opening Rossoblu, the culmination of Samson’s career; combining his Bolognese heritage and the dishes which first inspired him to cook with his Angeleno upbringing and years of dedication to his craft.